Over 10 glorious days in September, the Toowoomba Carnival of Flowers shines as Australia’s most beautiful event. And this year there’s exactly 176,030 reasons why – that’s how many seedlings and bulbs will bloom between September 21 and 30, creating the spectacular canvas that is just part of this incredible event. It’s one that has owned the title of Best Major Festival or Event for two years at the Australian Tourism Awards. 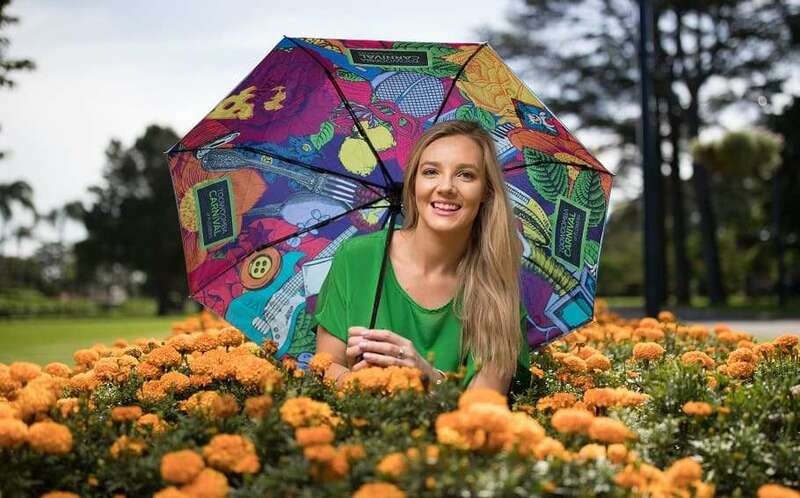 Over 10 breathtaking days of flowers, flavours and sounds, the Toowoomba Carnival of Flowers will feature more than 66 unique events and experiences showcasing the region’s best food and wine, music, tours and adventures, across 1,100 hectares of beautiful public and private gardens. For those looking to stay a night or a few days, there’s accommodation for all tastes – up to 4.5-star, bed and breakfasts, van parks, farm stays and holiday homes, with the region at its beautiful best. And for visitors from Brisbane, it’s an easy 90-minute drive. The Heritage Bank Festival of Food & Wine takes over Queens Park for the opening weekend – from Friday September 21 to Sunday September 23 and will feature the world-famous flavours of Southern Queensland Country (wine, cheeses, citrus, slow cooked meats from Shank Brothers, and much more), as well as the cooking demonstrations, chef appearances and the gardening program. Remember to make your own Flower Crown! Petals & Pups is the first ever official dog-friendly program, completely dedicated to hounds and their humans. The pawsome program boasts more than 30 dog-friendly activities, 27 off-leash parks and 20 human-and-hound accommodation stays. Check the TCOF website to find out more. Multi-award-winning garden designer, author and commentator Jim Fogarty leads the floral line-up. 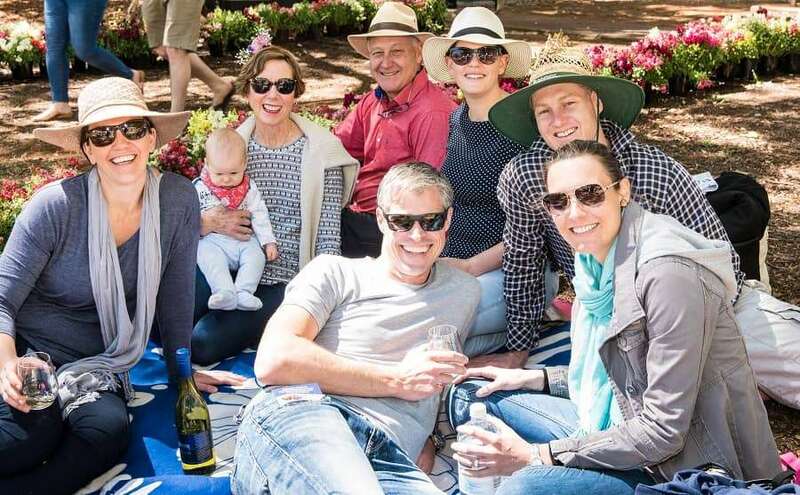 He will be joined by much-loved landscape architect from Channel Nine’s The Block, Dave Franklin, and 2019 Sunshine Coast contestants, Norm Hogan and Jess Eva. A stunning new event for 2018 is The Night Garden powered by Ergon Energy – based in Queens Park, The Night Garden is a magical creation featuring floral and lighting displays and experiences, to be held over five nights from September 26 to 30. There will be two headline chefs for 2018 – Adam Liaw, author, cook, host of Destination Flavour, culinary contributor and winner of Masterchef Australia 2010 will be joined by slow food chef Julia Busuttil Nishimura. Another new event is The Chef’s Brunch, to be held on Sunday morning with special guest chef Julia Busuttil Nishimura in the leafy gardens and setting of Gip’s Restaurant. The Grand Central Floral Parade will be held on Saturday September 22 – it will be the 69th time this incredible event has been held; it is expected to attract over 70 floats and more than 100,000 spectators. 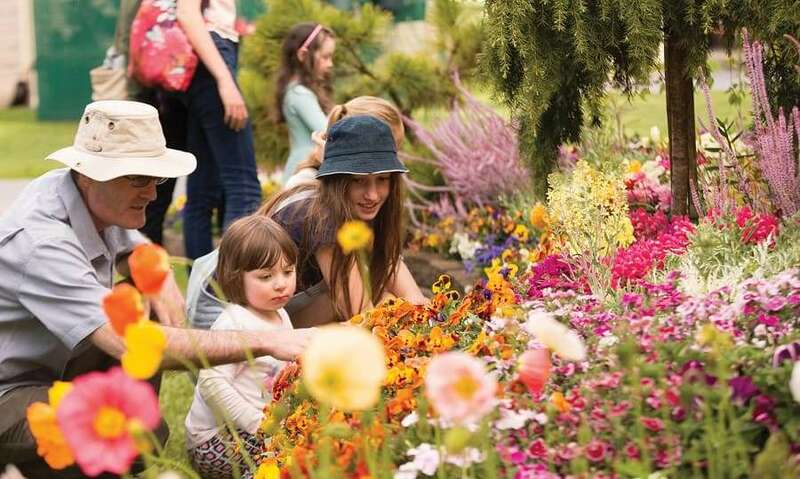 Gardens, parks and tours – now in its 69th year, Toowoomba Carnival of Flowers is Australia’s longest running floral show and arguably has the largest blooming footprint on the planet, spanning a whopping 1,181 hectares! Check out the show gardens, amazing parks and public spaces throughout the city and the program of tours at tcof.com.au. Talking Pubs and Foodie Tours – no visit to Toowoomba is complete without stopping at one of the famous country pubs or taking in some local food experiences. See more at tcof.com.au. Teapot Extravaganza – a unique display featuring over 400 decorative, functional, novelty and antique TEAPOTS!! Takes place Saturday Sept 22 to Saturday Sept 29 at St Alban’s Hall. The brainchild of Essex Tait and the Toowoomba Chamber of Commerce, Carnival was introduced as a way for the city to use their “Garden City” reputation to promote increased economic activity following the hardships of war. 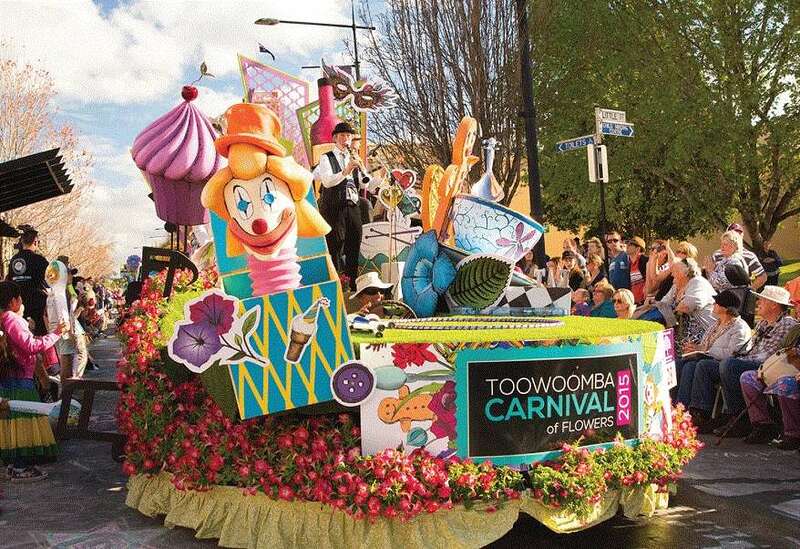 The Toowoomba Carnival of Flowers is the current title holder of Gold Award for Major Festival and Event at the annual Australian Tourism Awards. Last year attendances across the 10-day event skyrocketed, with overall figures up by 29 per cent with 255,639 attendees recorded. The Toowoomba Carnival of Flowers will run from September 21 to 30. To see the full program, tour information and accommodation details visit the website or the Facebook page.